My husband has been out of town for the last 5 days so I wanted to make some good comfort food for dinner tonight. 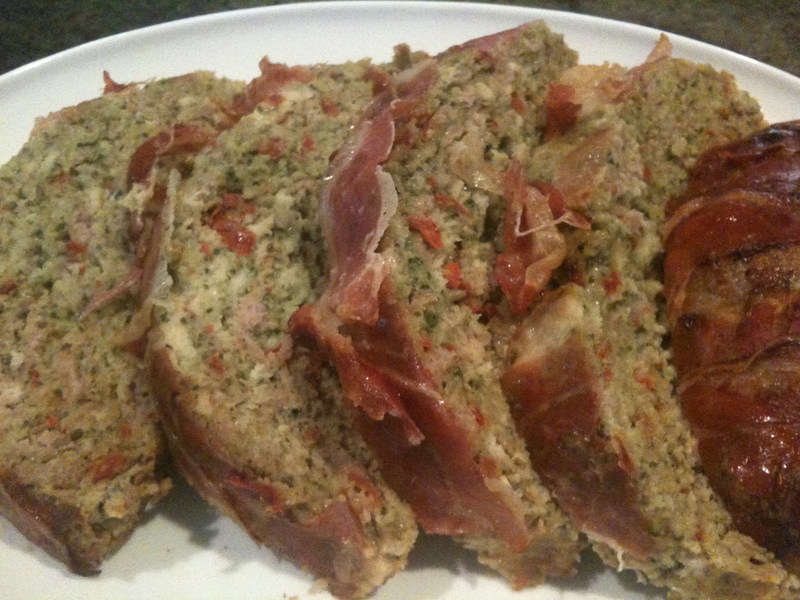 Meatloaf is a favorite of mine and I have made this Italian version a few times. By the way…yes, that is pancetta you see on top that has crisped up beautifully in the oven and given the meatloaf amazing flavor! I saw Giada De Laurentiis make this on Food Network a few years ago and immediately knew that it would be a favorite in my house. It is way better than your average meatloaf. My kids love it because it is very similar to meatballs which is a favorite of theirs. 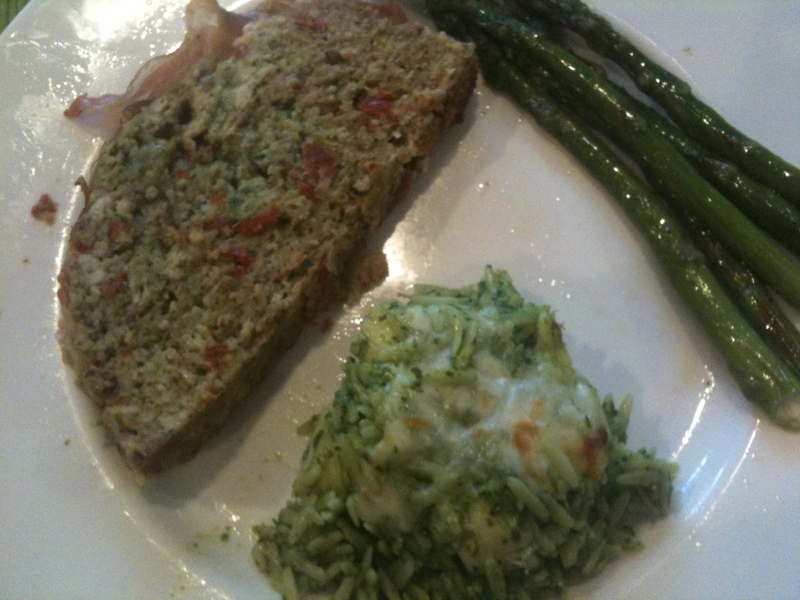 This meatloaf is loaded with fresh basil, Italian parsley, and parmesan cheese. 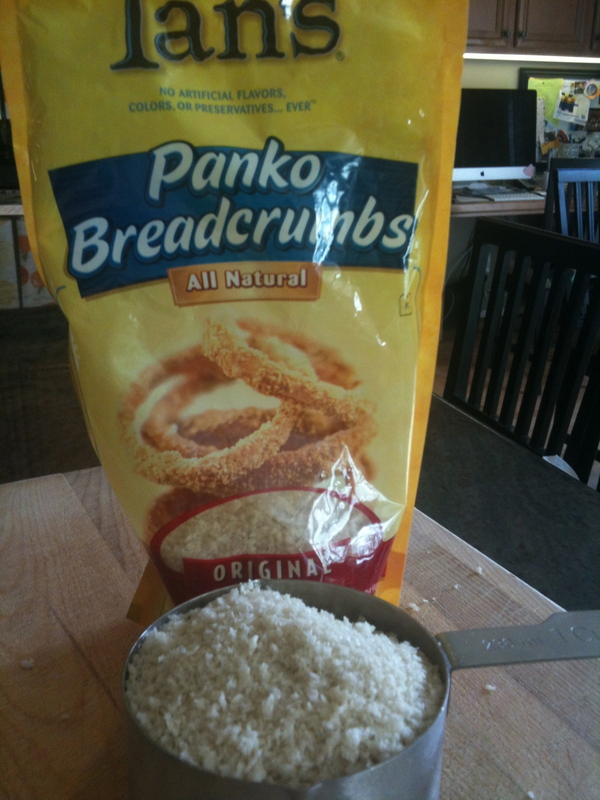 I use Ian’s brand of panko breadcrumbs. 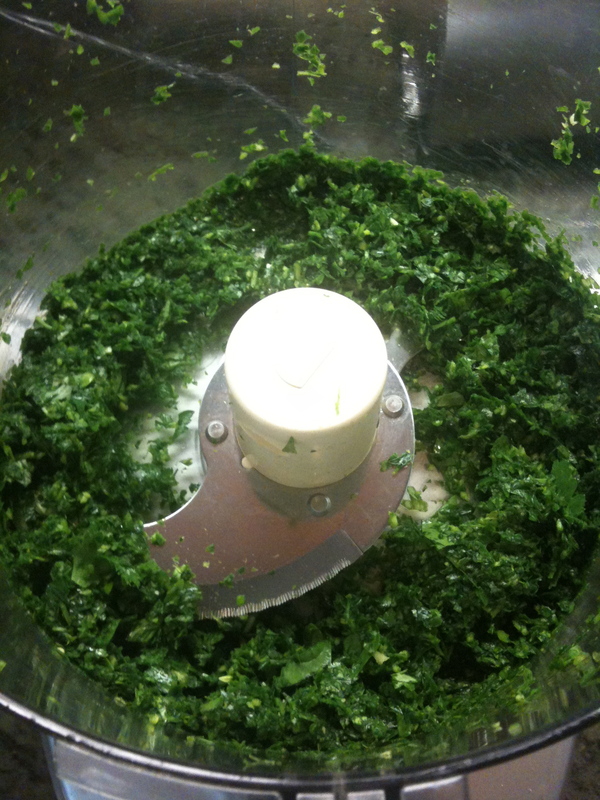 The food processor makes quick work of the basil, parsley, and garlic. You can chop all of these by hand if you want, but this makes it much quicker! Please note…this picture shows my meatloaf on a foil lined baking sheet. It works much better with parchment paper (which I was out of). You wrap the parchment around the meatloaf to keep the pancetta from curling up when it cooks. In a large bowl, stir together the bread crumbs and milk. Add the parsley, basil, garlic, eggs, cheese, sun-dried tomatoes, salt and pepper and mix well. Add the turkey and gently stir to combine, being careful not to overwork the meat. On a baking sheet lined with parchment paper, form the turkey mixture into a loaf. 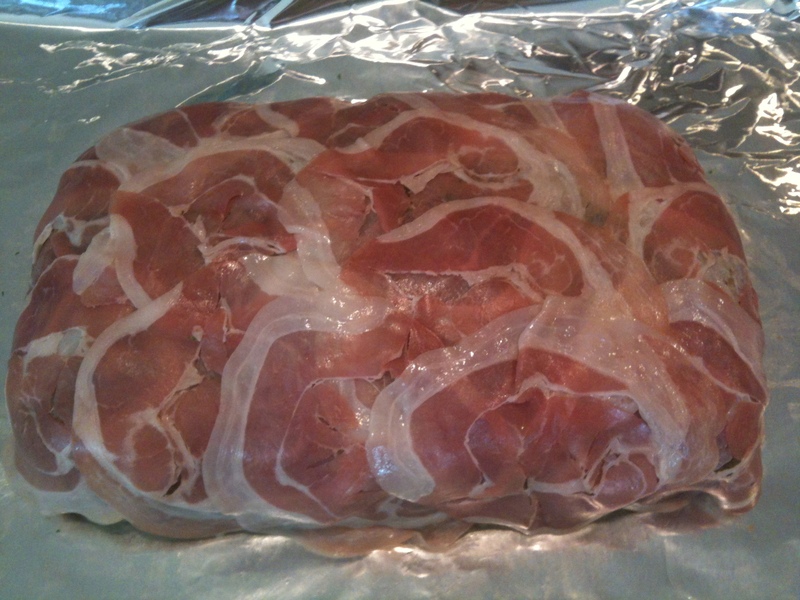 Cover the top and sides in the pancetta slices and wrap the parchment paper around the meatloaf. You want the meatloaf completely wrapped in the parchment paper so that the pancetta will lay flat and stay put while it cooks. Squeeze the parchment-covered loaf with your hands to secure the pancetta and solidify the shape of the loaf. While still covered in parchment, bake the loaf until the internal temperature reaches 165 degrees F on an instant-read thermometer, about an hour and 10 minutes. 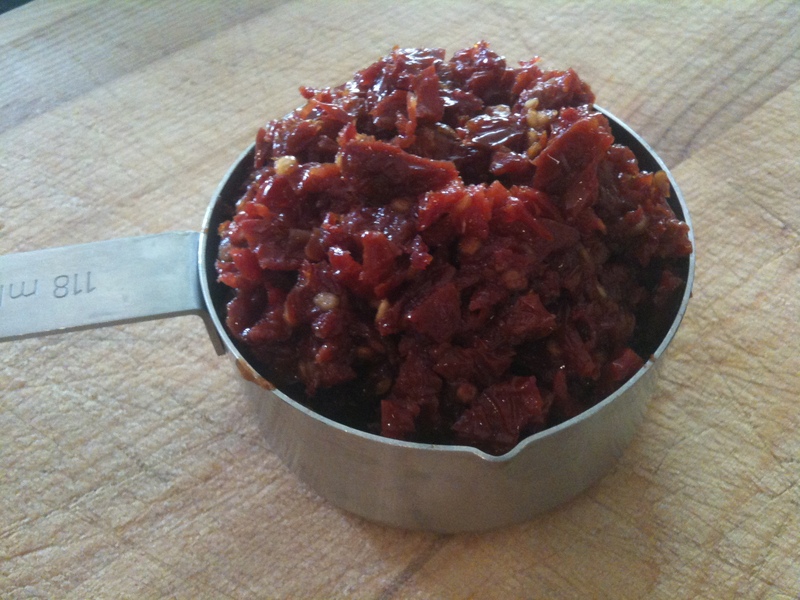 Remove from the oven and let sit for about 10 minutes before serving. 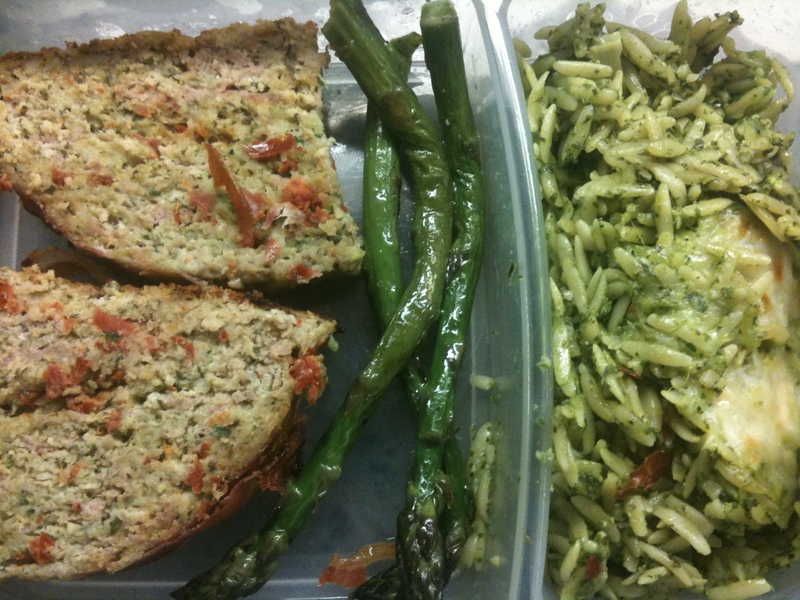 I served this with my Orzo with Spinach Pesto and some roasted Asparagus. I will post the Orzo tomorrow…It is really yummy! This fed my family of four with enough left overs for Max’s lunch tomorrow and a couple of sandwiches…I LOVE a meatloaf sandwich!! Giada made an amazing arugula mayonnaise for the left over meatloaf sandwiches. I will try it tomorrow and post it if it is a hit! Max’s lunch for tomorrow. Love having lunch all ready to go! yum, yum. Lucky max with his lunch.